The razor barbed wire on the US-Mexico border was stolen by Mexicans? - Hebei Zhengyang Wire Mesh Products Co., Ltd.
Home / News / Industry News / The razor barbed wire on the US-Mexico border was stolen by Mexicans? Mexico’s “Imagen” TV station released a video on Twitter on March 15th. It can be seen in the video that a large number of wire meshes were used by Mexican residents to reinforce the house. According to "Russia Today" reported on March 19th, a local police chief said that it is very difficult to know that someone is stealing barbed wire, but it is very difficult to catch thieves on the spot. As early as November last year, Trump asked for a fence with sharp razor barbed wire between San Diego and Tijuana. The intention is to prevent illegal immigrants from entering the United States. "Now our border wall is like this. Under our supervision, no one can climb over!" 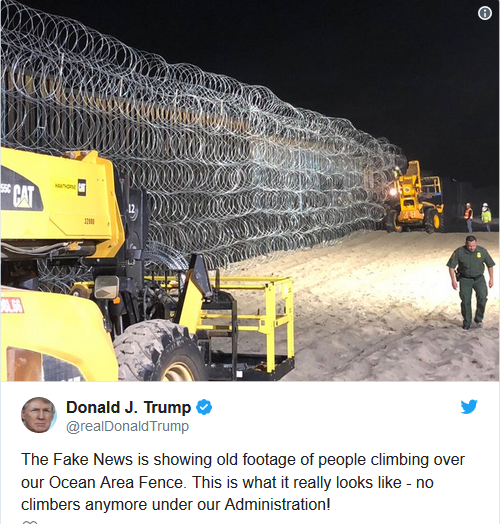 However, what makes Trump unexpected is that people are no longer Climbing over, the barbed wire is getting less and less. 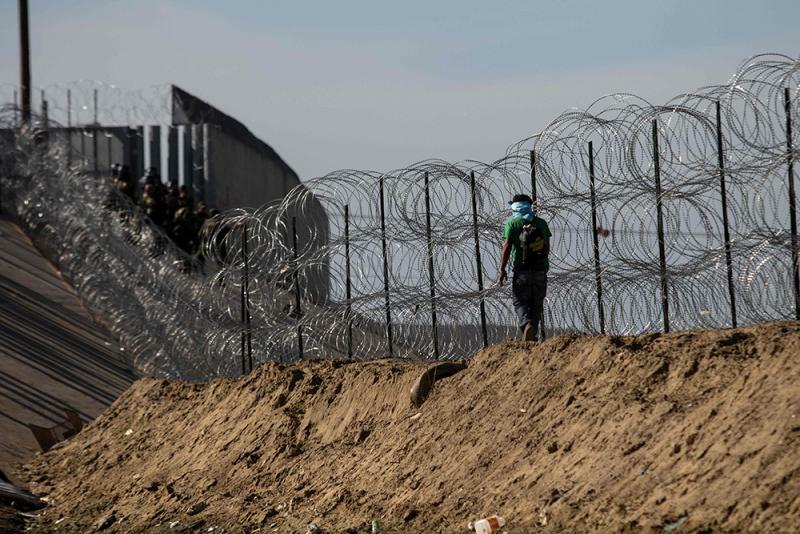 According to the Los Angeles Times reported on March 18, the reporter was able to see the newly covered barbed wire fences a few feet from the border fence. Some people also installed wire mesh as a fence in front of their house. The newspaper also said that in addition to installing razor barbed wire in their homes, local thieves also sold around the US Department of Homeland Security. At present, the US barbed wire contractor has started the repair of razor barbed wire. - Don't forget, these barbed wire meshes are completely fireproof! - I feel that the US border guards are selling cheap barbed wire to Mexicans at a low price to earn extra money, haha. - Look! The quality of these barbed wire mesh is so good! - By the way, the guards have been very recently, and we have found that our whereabouts can no longer be stolen! Otherwise you have to be detained! - So, are there other ways to get these razor wire? - It is said that Zhengyang Security specializes in the production of such barbed wire mesh and also has a professional wire rapid deployment vehicle! Quality is also great! Why don't we do wholesale from Zhengyang to sell to our domestic friends who need razor wire? - Wow! Great Idea! Let’s contact Zhengyang right away! - Recently we should strengthen the defense! We must find out who steals the razor barbed wire! - Yes! This matter has already alarmed the president, we must solve it as soon as possible! - So, before the president discovers, how can we quickly fill it up silently? - By the way, I know a friend. It is said that the barbed wire mesh made by Zhengyang Security is professional and the quality level is high, equal to ours and even higher ! We can purchase a batch to make up the position! - Ok, then let's get started!